Thanks for all the likes, comments, follows and responses. This is an extremely terrible sacrilege that murders one of the most intelligent and sentient beings on our planet — and it rarely gets covered in the news media. We can only use the immediacy of social media to get these stories out. 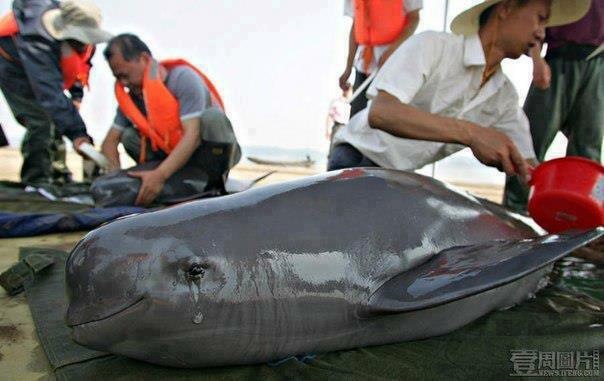 Please check Twitter and follow #tweet4taiji to get the latest eyewitness accounts of slaughter in Japan. And please retweet and pass word to your friends. Animals have feelings, too and it’s sad seeing them suffer like this. I’m trying to get the word out. The movie “The Cove” was a big hit and won an Academy Award (R), but the genocide is still going on — mostly for dolphins or whales for marine parks worldwide. All of us who care for animals must not be silent. And especially do NOT support the slaughter by buying tickets to Sea World or other entertainment venues that feature wild-caught dolphins/whales. I admit, some facilities only use captive-born or rehabbed individuals who cannot be returned to the wild (or so “authorities”) say. But marine entertainment is big business. The Japanese can get upwards of $200 per individual (more for juveniles) that they capture for entertainment. Thanks for reading and commenting! Shocking and under-reported, unfortunately. Goes on annual — due to greed, entertainment and general butchery. These are sentient, intelligent, communicative and social beings. Imagine the horror they must feel for their family (pods) and themselves! Thanks for reading. Please get the word out!